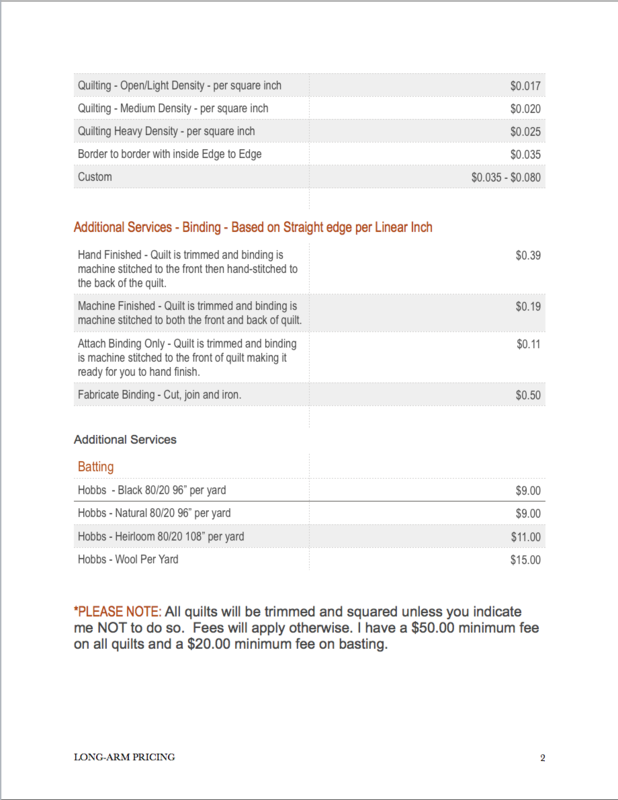 Beneath you will find our "Long-Arm Pricing" document and a link for you to download a PDF file for your convenience. 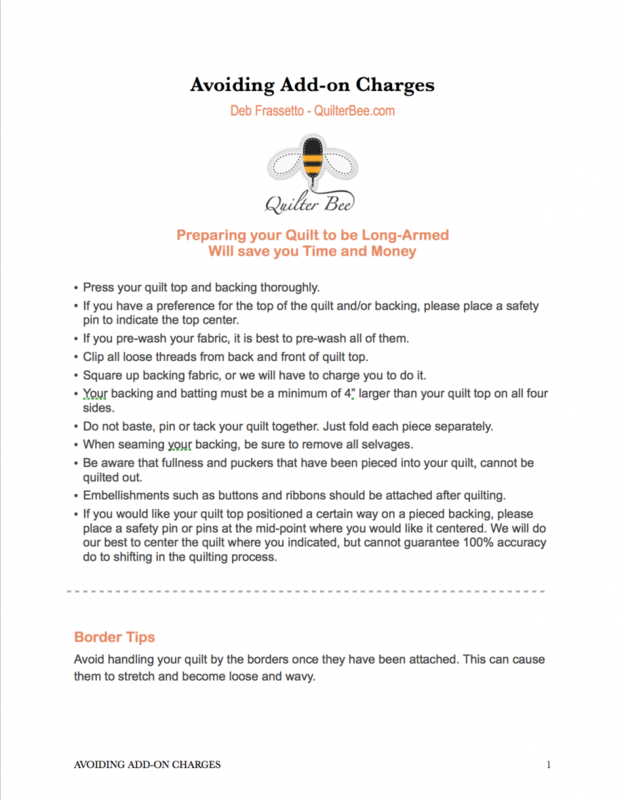 Also a document called, "Avoiding Add-on Charges" that will help you prepare your quilt for the longarm process. 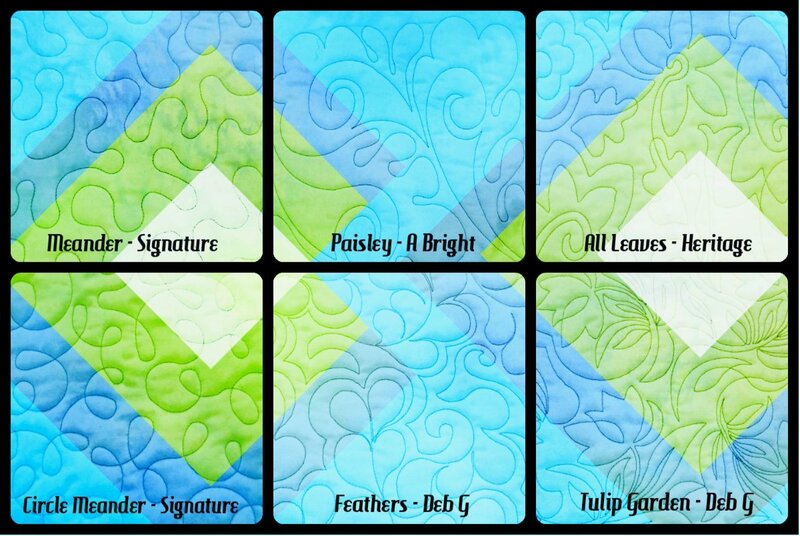 Currently we have six choices of edge-to-edge patterns in a collage for you to choose from; or, you are welcome to call or email us if you have something else in mind. 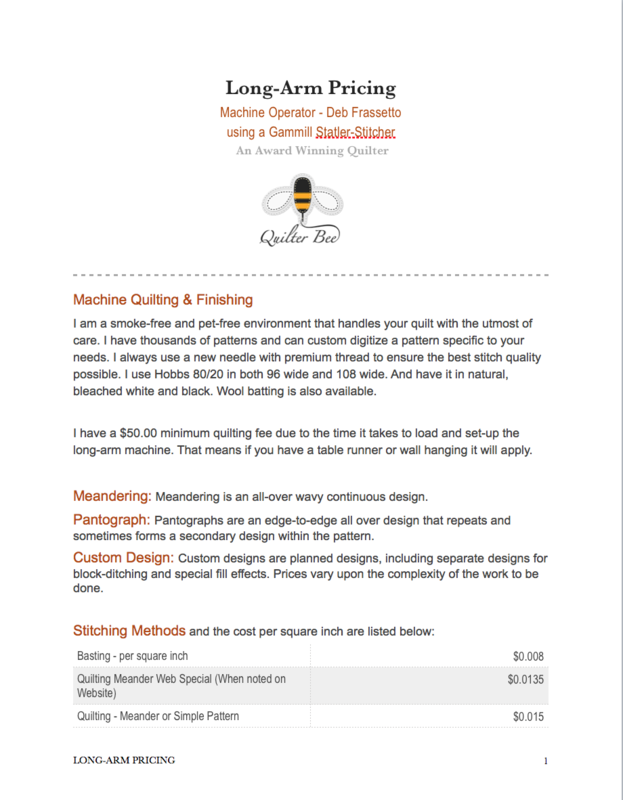 We have over 10,000 patterns. 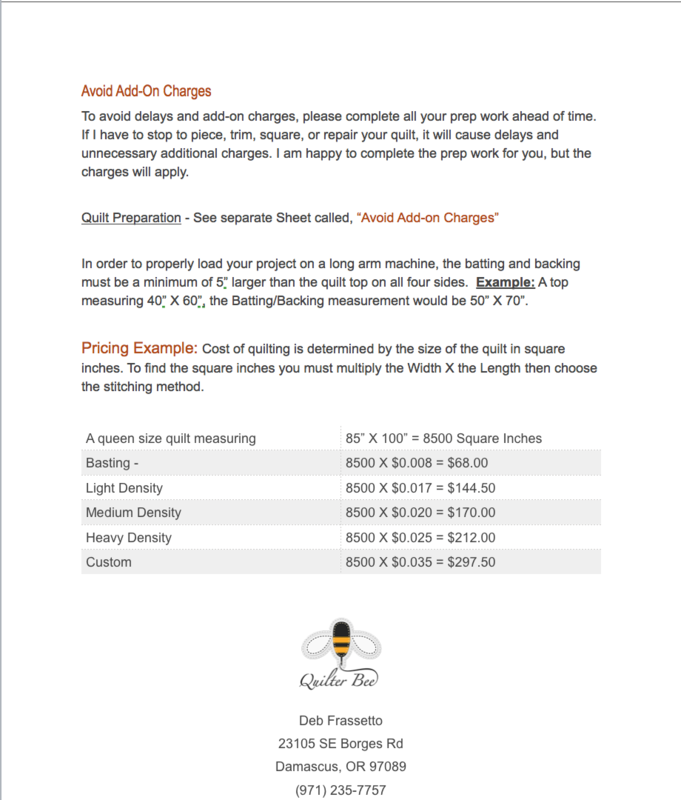 And lastly a "Price Estimator" form that will approximate the cost of the services of your choosing. Please feel free to call or email us with any questions! 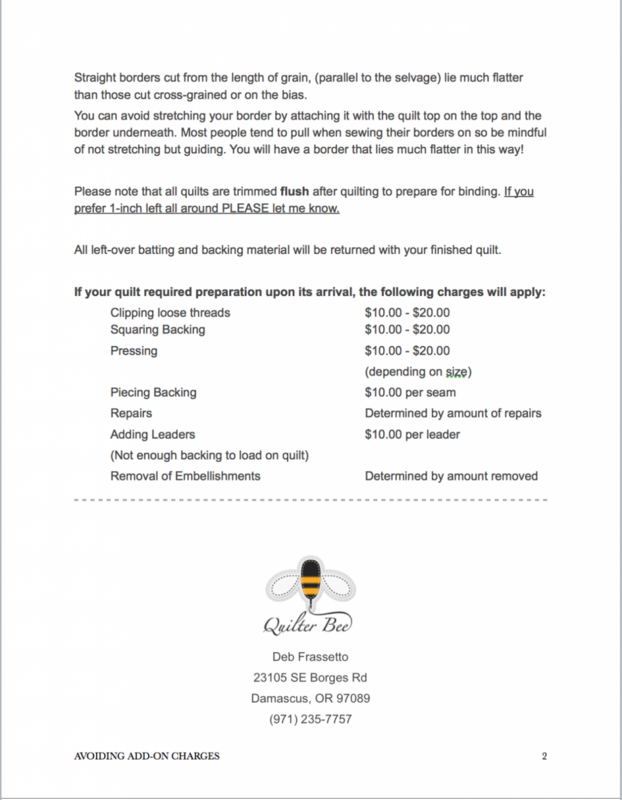 We welcome your input and want you to Bee Happy with your choices. Above are six Edge-to-Edge patterns that we offer online. Please choose one in the pull down menu below. If you have something else in mind, write it in the comment area and we will get back to you via email with a very close estimate including postage and a photo of the possible patterns choices available. Sew bee happy! Please let us know what you are interested in and we will get back to you with a price estimate. SPECIAL Instructions? Example: I want my backing placed a certain way.